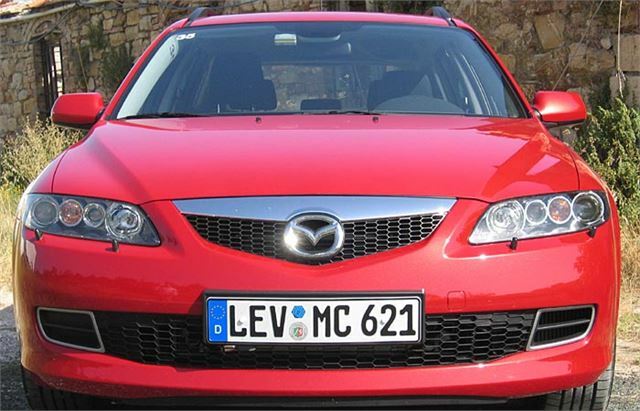 There are 785 engineering changes to the facelifted Mazda 6. But most of them are hidden from sight. Thankfully Mazda hasn’t messed around with its dramatic looks. Just a few small improvements there. Instead, Seichi Omoto’s team has concentrated on the really important bits. So we get more powerful, more refined diesel engines, now EU4 with maintenance-free particulate filters. 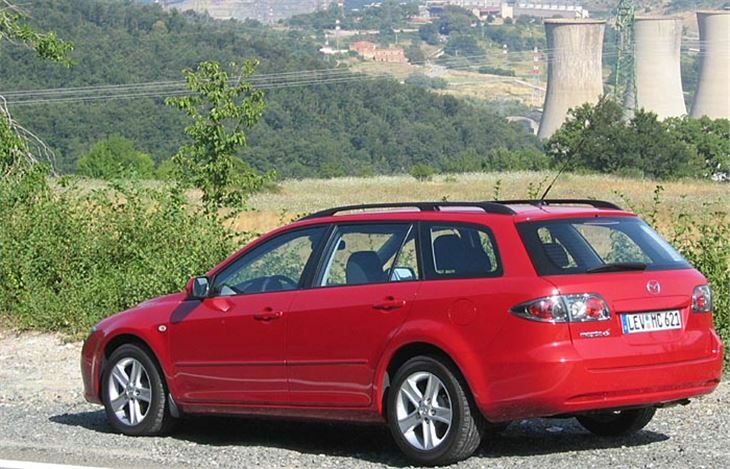 More powerful, more economical petrol engines. A new six-speed manual transmission. A new five-speed automatic. Under the car’s skin is a stiffer, stronger structure. Outside, the changes are so subtle they’re hard to spot. Dark grey bezels around the headlights, slightly darkened rear light covers, minor changes to the grilles, two new body colours: Phantom Blue mica and Brilliant Carbon Grey mica. Inside, the seat fabrics look better and ‘breathe’ better, the radio CD multiplayer is now piano black, the instrument dials have chrome surrounds, and there’s now a keyless entry and immobiliser system that allows you to open the doors at the touch of a button and start the engine, just as long as you have the keycard in your pocket. Subtle improvements wherever you look. 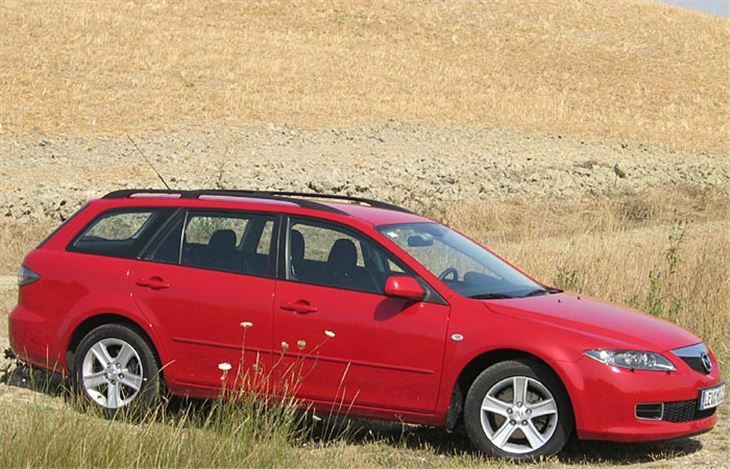 We tested the new 145PS 6-speed diesel estate. Fair enough because my original test was of the 136PS 5-speed diesel estate. So how is the new car improved? 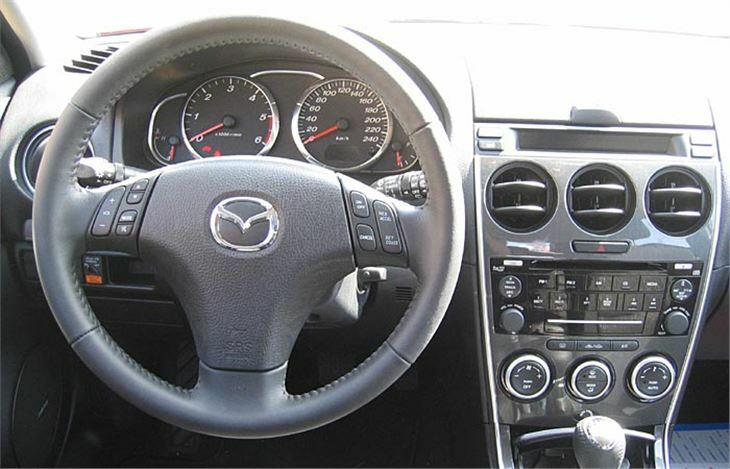 One of the few criticisms of the original Mazda 6 was lack of refinement. 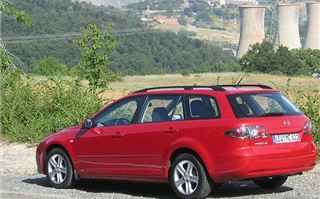 It always handled well, but more road shocks and especially road surfaces fed through to the cabin than from the wheels of a Mondeo. So I’m pleased to report Seichi’s team has sorted that, and more pleased to tell you they’ve made the car handle even better. The test car was left-hand drive, and the route was fairly narrow, undulating, very twisty two lane roads with a lot of blind corners. In those conditions, you can’t straight-line the bends. You have to say your side of the road throughout. The last thing you want is an understeerer that ploughs itself over the white line on the exits because you never know what’s coming. So you take it easy at first, not pushing the car too much, gradually finding the point where washout inevitably starts to occur. Then you back off, use the gearbox and the engine’s torque, and try to keep everything neat and tidy and on your side of the road. I’m pleased to say the Mazda 6 diesel behaved like a true thoroughbred. The gearing, especially 3rd, and the very strong torque of the engine from 1,750rpm pulled it out of the bends with no drama at all. In the 40 degree temperatures of the test day, it wouldn’t have been too pleasant to break out into a sweat just from driving the car. At the end, both of us emerged bone-dry, and, please believe me, that isn’t normally the case when your task is to find a car’s limits. 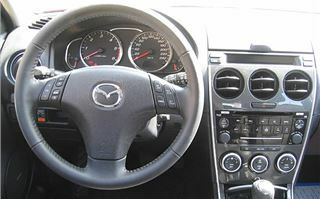 Since the Mazda 6 was originally launched, opposition has grown. The Vectra is now a lot better than it ever was before. The new Toyota Avensis arrived. The Honda Accord. 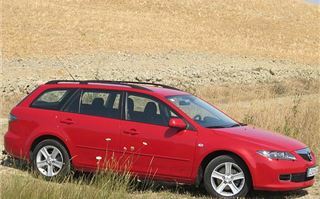 The Volvo S40 and V50. And the latest VW Passat. 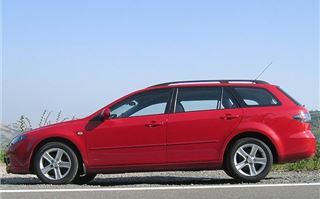 Not to mention the impressive Mondeo which seems to get better and better as it matures. But if you like the looks (which most people do) and appreciate a comfortable, sharp-handling car that can give a keen driver some genuine pleasure, then it’s definitely still leader of the pack. 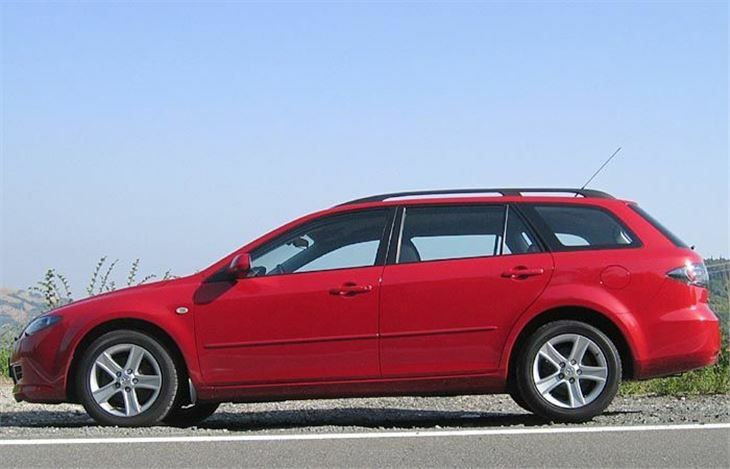 You may not be able to do quite the deal on one as you can on a Mondeo, but you get more at the back-end because a Mazda 6 holds its money much better. I’ve yet to see a really cheap one at auction, even with 70,000 miles under its wheels. 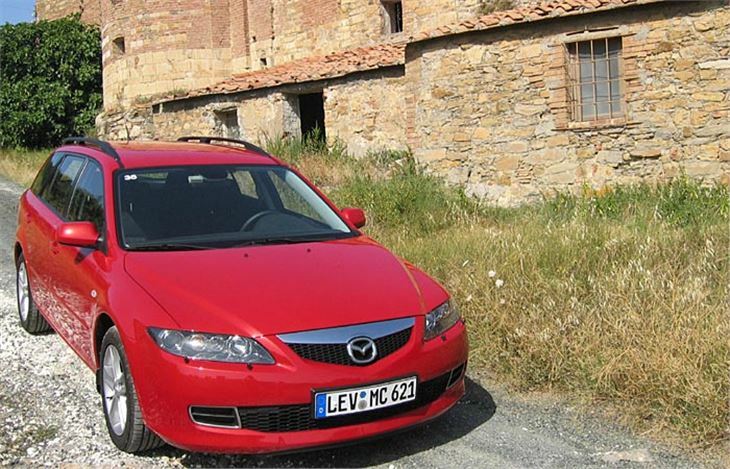 So a definite thumbs up for the Mazda 6.